MDX Associate Professor (Practice) Jonathan Hodgson has won his second BAFTA for his animated short, Roughhouse, at the British Academy Film Awards on Sunday night. The 15 minute film, conceived out of a nagging sense of guilt on Hodgson's part and made over a period of 15 years, tells the story of Hodgson and two boyhood friends sharing a student house in 1970s Liverpool, and the rest of the house turning malevolently on one of the friends when they failed to pay the rent. Guardian critic Peter Bradshaw wrote that Hodgson "really does tell a story... with humour, emotion and charm", about the three lads from Birmingham, "the adventures they have and the crisis they blunder into when they realise that they have feelings". Hodgson previously won a BAFTA for The Man With The Beautiful Eyes in 2000, and was nominated for Camouflage at the 2002 awards. He has combined a prolific career as an animation director and commercials director with teaching for many years. He has been programme leader of the MDX BA Animation course since 2008. Roughhouse was co-produced by French company Papy3D Productions and made by a team of animators in Lille, after Hodgson struggled to get the film funded in the UK. In his BAFTA acceptance speech, standing next to Papy3D founder Richard Van den Boom, Hodgson told guests, "At this time, we need Europe more than ever". Van den Boom said: "As a French producer, when we saw the project, what we saw was a British film, and this is really what we wanted to make, a British film, with British accents, British music, British location and British actors. And this is what we've done and we are very proud". Travelling back and forth to Lille to make the film, Hodgson showed Papy3D's animators live action films such as Rita, Sue and Bob Too to help them understand the look and feel of Northern England in the 1970s. "They're such craftsman, amazing animators - I feel quite humble" Jonathan says of the team. Roughhouse was named Best British Film at the London International Animation Festival in December, and featured at last week's Clermont-Ferrand Short Film Festival. 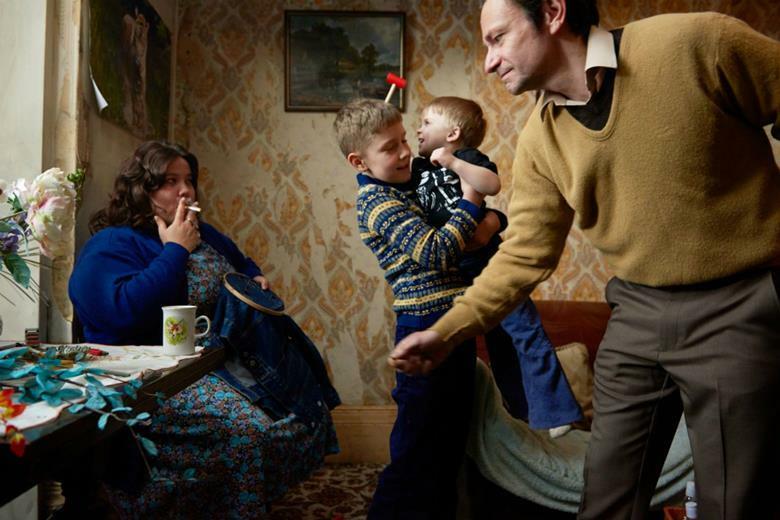 Also nominated at the awards in the category of Outstanding Debut by a British Writer, Director or Producer was MDX Professor in Creative Industries Richard Billingham, for Ray & Liz, an autobiographical film about his chaotic home life growing up in the Black Country. Billingham, an artist, photographer and filmmaker who rose to fame through his photographs at the 1997 Sensation exhibition, is a lecturer on MDX's BA and MA photography courses. Shot on 16mm film, Ray & Liz features different actors as alcoholic, reclusive Ray and chain-smoking Liz at different points in their lives, including Benefits Street's Deirdre "Dee" Kelly as an older Liz. The film has so far won eight prizes at film festivals across the world and two at the British Independent Film Awards. Guy Lodge in Variety calls it "a uniquely moving work, bristling with pride, anger and even some regret". 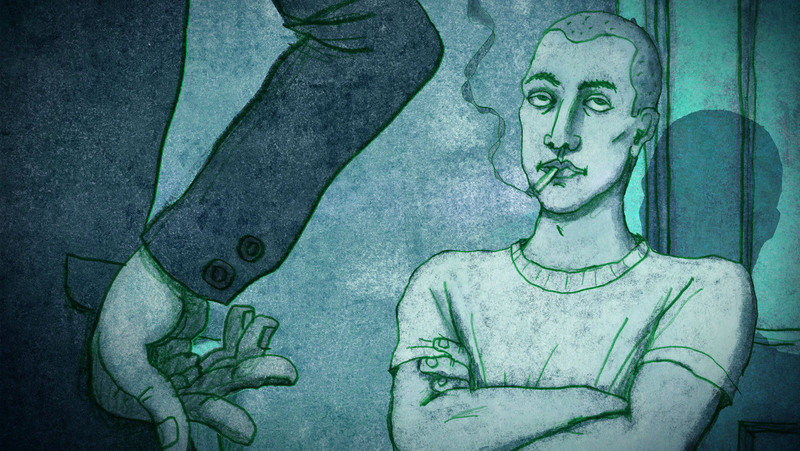 All MDX's animation lecturers work in industry alongside teaching. Helping students connect with industry and finding out what industry wants from students is a key part of the BA course - Hodgson says companies are now writing to him, asking to come and meet students. MDX students worked on the title sequence for the 2019 London International Animation Festival, and MDX student animations screened recently at the RAF Museum in Colindale will be shown at the equivalent museum in Berlin. At MDX, Hodgson guides students through animation basics but finds it most interesting teaching them "things like script, editing, design, character development". He praises the current standard of student work as "staggeringly good" and says it is much more difficult for animators beginning their careers now than when he started out: "You have to work a lot harder on the ideas because stylistically, there’s so much beautiful animation".